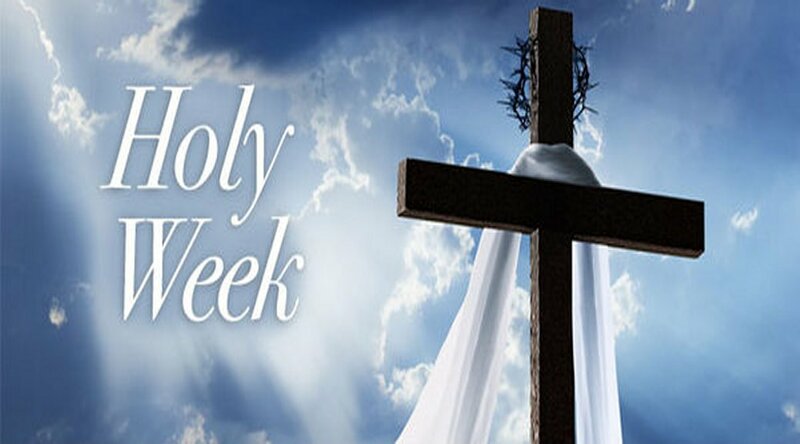 Holy week is a time when we commemorate the essential truths of our Salvation. In Word and Worship we commemorate our Savior’s journey from the triumph of His entry into Jerusalem until His utter abandonment on the Cross. Holy Thursday we celebrate the lasting memorial of His blessed Passion in the Holy Eucharist. We accompany Him into the garden and keep vigil in the garden. Good Friday we stand at the foot of the Cross along with Mary and accompany Jesus into the tomb. This year a special intention during the service of Jesus’ Passion will be a prayer that the gaping wound in the Body of Christ—the clergy abuse scandal—will be healed. Saturday will be a day of silent prayer even though preparations for the Feasting of the Resurrection will be made in the traditional food blessing. All this prayer and worship culminate in the Great and Glorious Vigil at 8 p.m. Saturday night. A great saint once said “We live for this Night”, i.e. the Easter Vigil. I sincerely hope many of you make the sacrifice of spending this time with the Lord in Church. It is the only way of the Cross that leads to new Life and Resurrection! May our Suffering Lord bless you all!